This research investigates the relationship between price and demand of multi-attribute products positioned for different market segments. 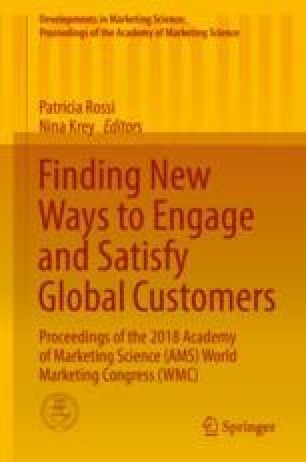 In light of the third law of demand theory and Lancaster’s and Rosen’s approach to consumer theory based on a product’s multiple characteristics (Lancaster 1966, 1971; Rosen 1974), we propose a new approach that can be used to evaluate product positioning and pricing strategies, one that integrates both economic and marketing theoretical underpinnings. Specifically, we posit that the change in relative price of a multi-attribute product, in comparison to another similar product positioned as a lower-end equivalent, will play a vital role in determining the overall demand of that product among its appropriate market segments. Based on hedonic pricing analyses using pricing data collected from Taiwan, we find that despite an increase in overall prices of high-end glasses (e.g., glasses lens positioned in the high-end category paired with glasses frames that are also positioned in the same category) relative to low-end glasses products (e.g., glasses lens positioned in the low-end category paired with glasses frames that are also positioned in the same category), effective lens and framing pairing combinations may lead to a decrease in relative prices of the high-end glasses. Consequently, the overall demand of high-end glasses among high-end consumers can increase significantly. The findings support our proposition regarding the role of relative price in relation to consumer demand for multi-attribute products. Theoretical and managerial implications are discussed.